You might imagine that there’s not a lot of difference between road tyres, since they’re all basically a skinny hoop of black rubber. But having ridden a few crap ones, there are definitely a few key attributes that I now look for in my roadie rubber – and to be honest the Pro 4 Service Course ticks all my boxes. It’s light at around 200g and it’s got a nice supple carcass which combines with the rubber compound to provide lovely, predictable grip in the wet or the dry. 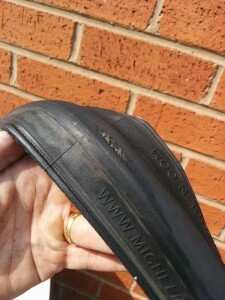 The 25mm width models I’ve been riding offer a good amount of cushion that means I’ve been able to be that little bit less fussy about my line choice on rough roads – and in around 18 months of use on my main road bike I don’t think that I’ve had a single flat. As mentioned, I’ve had the tyres on a predominantly dry weather bike for a year and a half – and the rear has only just worn square – showing a few threads from the casing on one spot where I had to lock up in an emergency. Considering the tyres were around £50 for the pair with tubes thrown in, I’m happy with that. 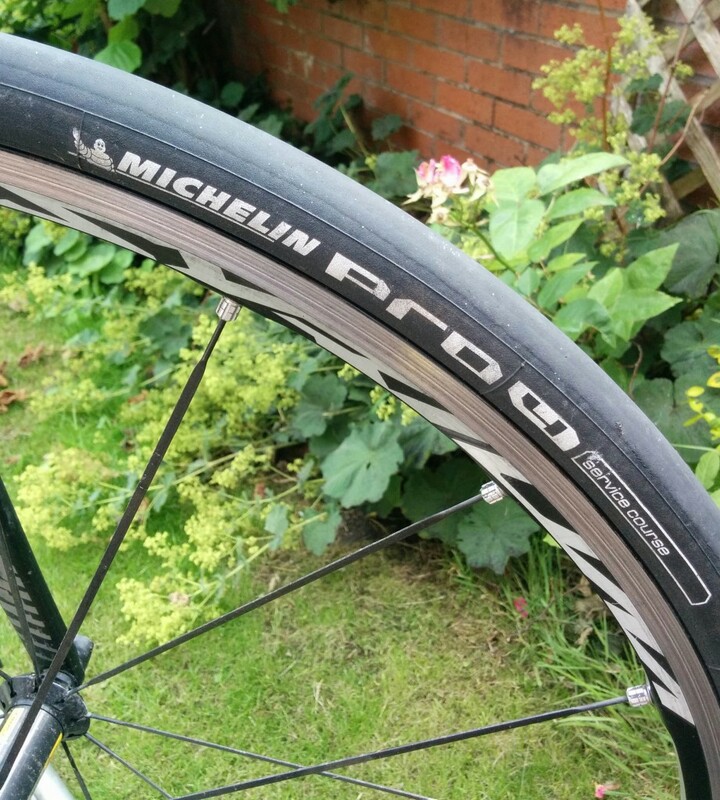 Compared to the Pro 3 Service Course tyres I had previously, they seem to be much more durable and also slightly grippier (though I did go up from 23c to 25c) – and they definitely don’t have the same tendency to cut up. 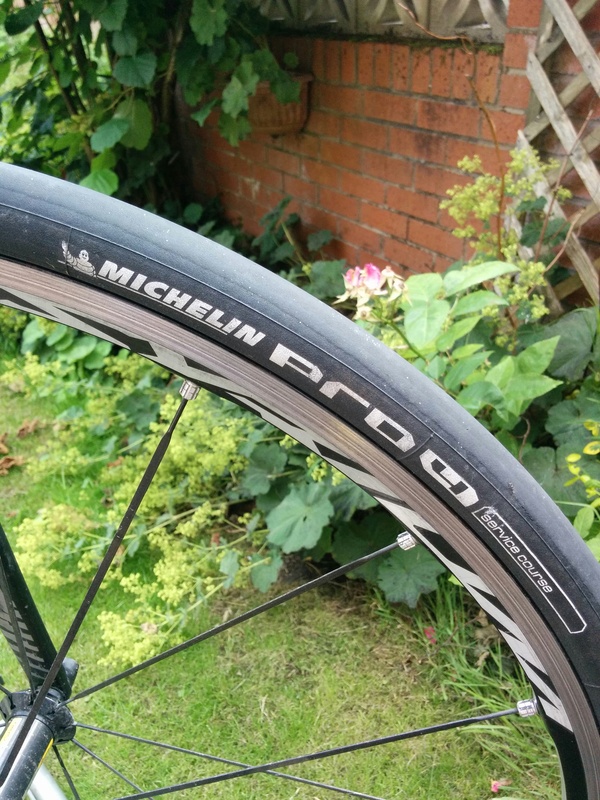 I know there are other highly regarded tyres out there, but I’d be very reluctant to pay more considering the quality of the Pro 4s and the fact that they’re always on offer at a good price somewhere on the internet.